Why Do Some Programming Languages Live and Others Die? But no matter how impressive these new languages are, you have to wonder how long it will take them to really catch on - if they do at all. After all, new programming languages arrive all the time. But few ever reach a wide audience. At Princeton and the University of California at Berkeley, two researchers are trying to shed some light on why some programming languages hit the big time but most others don't. 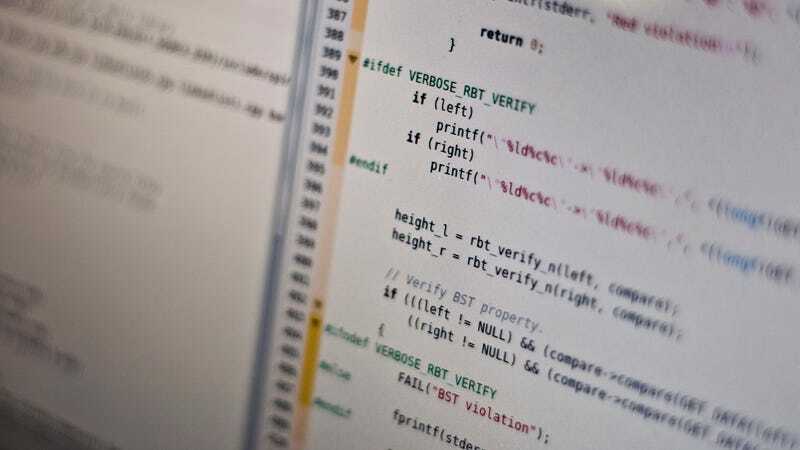 In what they call a "side project," Leo Meyerovich and Ari Rabkin have polled tens of thousands of programmers, and they're combing through over 300,000 computing projects at the popular code repository SourceForge - all in an effort to determine why old languages still reign supreme. "Why have we not been reliably able to improve on C?" Rabkin asks. In the thirty-five years since C was popularized, there have been enormous leaps in the design of software and operating systems, he says. But although C has been beefed up and other new languages have been very successful during that time, C is still a mainstay. He says that academics are so often determined to build a language that stands out from the crowd, without thinking about what's needed to actually make it useful. In some cases, he says, they fail with the simplest of things, like documentation for their language. In other cases, he says, designers will keep adding new features to a language and effectively overload the engineers who are trying to use it. "Maybe the solution isn't entirely technical," Meyerovich says. "We need to start building more ‘socially aware' languages." Meyerovich also says the data he and Rabkin are collecting also indicate that programmers aren't always taking the time to really learn a language when they start using it - and that this trips them up down the road. An example, he says, is ActionScript, an object-oriented language developed by Adobe. According to Meyerovich's data, programmers see ActionScript as easy to use. But, he says, when they start doing something new with it - moving from, say, media development to game development - they run into problems. Meyerovich believes that the language is an issue that the development community as a whole is still struggling to acknowledge. As he and Rabkin plow through the data - much of which is sortable online - they hope to develop new insights into not only the causes over the problem, but also how to solve it. "This is a hot-button issue I didn't even think we'd be looking at when we went through this data," Meyerovich says.